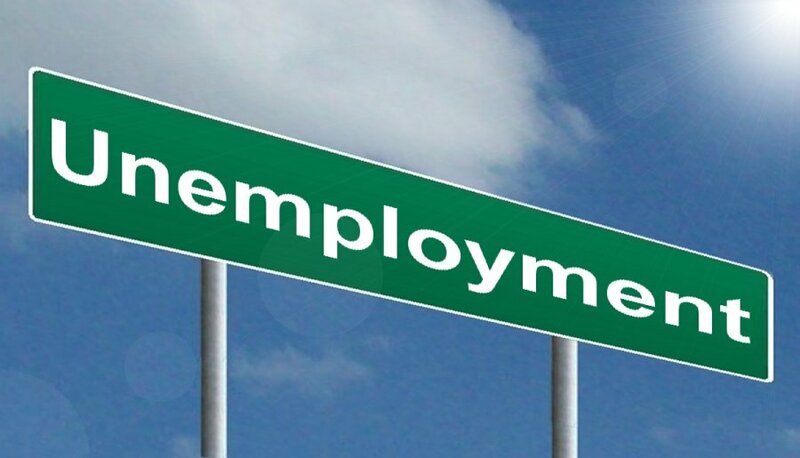 Though employment worldwide seems to be rising, unemployment is still a serious issue. Also, there are many workers that can easily be fired and with positions that are unstable. But what are the main causes of employment? Recessions, outsourcing, low consumer demand, rising minimum wages, and criminal history are all elements that contribute to employment rates. Recessions are common in every country, including the United States of America. According to Mary Hall of Listopedia, “A recession has a domino effect, where increased unemployment leads to less growth and a drop in consumer spending, affecting businesses, which lay off workers due to losses. A recession occurs when there are two or more consecutive quarters of negative gross domestic product (GDP) growth. In other words, economic growth slows during a recession” (“Why Does Unemployment Rise during a Recession?”). Some recessions are so severe that even highly educated individuals cannot obtain jobs. Recessions can also lead to outsourcing. Stated by Chron, “…an outsourced job doesn’t get replaced by anything. The work has moved to another country. Meanwhile, these unemployed workers find themselves hard-pressed to get work in their field, because other companies are following suit and outsourcing” (Fredman, Josh). This mostly refers to foreign outsourcing, whereas domestic outsourcing can also affect wages negatively. Sometimes, besides recessions and outsourcing, unemployment is caused by low consumer demand. According to economicshelp.org, “Demand deficient unemployment occurs when there is insufficient demand in the economy to maintain full employment: in a recession (a period of negative economic growth) consumers will be buying fewer goods and services; selling fewer goods, firms sell less and so reduce production; if firms are producing less, this leads to lower demand for workers – either workers are fired, or a firm cuts back on employing new workers. In the worst case scenario, the fall in demand may be so great a firm goes bankrupt, and everyone is made redundant” (Pettinger, Tejvan). As you can see, a chain reaction happens when low consumer demand takes place. Another factor involving people is higher minimum wages. At first, having higher minimum wages sounds like a fantastic idea. However, there are some drawbacks in the workplace, and in the organization of companies in particular, that happen when a minimum wage is raised. According to Greg DePersio from Investopedia, “…minimum wages can actually raise unemployment by giving employers less incentive to hire and more incentive to automate and outsource tasks that were previously performed by low-wage employees. Higher mandated minimum wages also force businesses to raise prices to maintain desired profit margins. Higher prices can lead to less business, which means less revenue and therefore less money to hire and pay employees” (“Minimum Wages Can Raise Unemployment”). Once again, we see that chain reactions are common when it comes to causes of unemployment. And lastly, another cause of unemployment that is pinned on individuals are criminal records. According to the University of Pennsylvania, “The criminal justice system often takes working age men out of communities where they would normally be a household’s primary earner in mass and, when they are released, severely inhibits their ability to regain a strong footing in the labor force helps to propel the “cycle of poverty”. In fact, studies have found that in large urban centers as many as one in four black men who live in that community are incarcerated at any given time” (“Criminal Records and Unemployment: The Impact on the Economy”). But criminal records also affect all demographics—it is just that they put pressure on the African-American community disproportionately. Unemployment is not as straightforward as it seems. There are various factors that cause this phenomenon. Economic recessions, domestic and foreign outsourcing, low consumer demand, higher minimum wages, and the criminal histories of workers are factors that strongly influence unemployment. Though economies are cyclical, unemployment is still an unfortunate circumstance. Hall, Mary. “Why Does Unemployment Rise during a Recession?” Investopedia, Investopedia, 4 June 2018, www.investopedia.com/ask/answers/032515/why-does-unemployment-tend-rise-during-recession.asp. Fredman, Josh. “Questions About Outsourcing & Unemployment.” Chron.com, 21 Nov. 2017, work.chron.com/questions-outsourcing-unemployment-4514.html. Pettinger, Tejvan. “Demand Deficient Unemployment.” Economics Help, www.economicshelp.org/blog/1993/economics/demand-deficient-unemployment/. DePersio, Greg. “Minimum Wages Can Raise Unemployment.” Investopedia, Investopedia, 5 Aug. 2015, www.investopedia.com/articles/investing/080515/minimum-wages-can-raise-unemployment.asp. “Criminal Records and Unemployment: The Impact on the Economy.” Penn Wharton Public Policy Initative, publicpolicy.wharton.upenn.edu/live/news/2071-criminal-records-and-unemployment-the-impact-on.